Lately, we have been doing a little early spring cleaning by getting rid of some tools, furniture and other items that we no longer need or want. 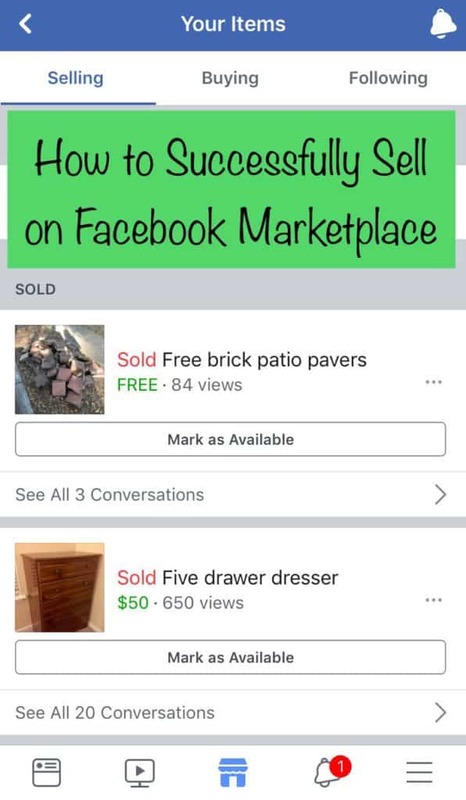 We have been using Facebook Marketplace and have learned a lot about how to successfully sell on Facebook Marketplace. There definitely is not a science that guarantees success, but we have determined a few tips for how to successfully sell on Facebook Marketplace that have been working well for us. Click here to pin this post on your Pinterest board! Facebook market place is a great place to sell things for a few reasons. First of all, it’s a platform that you are likely already using. Secondly, you can see the profile of potential buyers. This helps be sure they aren’t scammers. Search before posting. Search for the item that you are trying to sell and see what general price point other people have listed their item for. If you go in listing something for $50 and an identical one is sitting on the market for $10, you aren’t going to get many hits. Use a short, but very descriptive title that is most like what you are selling. If you’re selling a dresser, don’t list it as “dresser.” Instead, list it as a “wooden five drawer dresser” so people know up front and yours filters through all others if someone searches for those terms. Recognize if your item seems to be a hit. If you receive a bunch of offers fairly quickly, you can probably be gone with it for full price. If you don’t receive a message for three days, you need to wine and dine that person because they might be your only hope. Be very descriptive in the body of your posting by being clear about the item’s condition, size, etc. By putting any details you can think of in the description, you avoid wasting everyone’s time with messages like “what are the dimensions” or “does it have scratches.” You also don’t want someone to come all the way out to you only to decide not to buy it because it wasn’t what they thought it was. Plan to negotiate. Hey, if someone sends you a message five minutes after you post offering you half what you listed for, I wouldn’t waste much time with them because it sounds like it will sell soon. But if you aren’t getting a ton of response, be prepared to lower the price. Speaking of lowing the price, Facebook Marketplace allows you to change your price and then they highlight that. Your price now shows up in green on the site indicating that you are trying to move the item by lowering the price. Also, anyone that has viewed the item before gets a notification on their phone that the item has lowered. This happened to us with a tool and the guy told me he was messaging because he had looked before but didn’t want it at that price, when he saw I lowered it to his range, he messaged. You can also try listing it for a price higher than you actually want and then lowering it to what you were actually hoping for. Be timely in your responses. People are looking for an item and they want it as soon as possible if they see it on Facebook Marketplace. If you don’t respond quickly, they might have moved on to a similar item and you lost your sale. Also, Facebook Marketplace shows on your profile if you are a speedy responder. If you’re not desperate, try pricing your item a little high knowing you’ll negotiate. Morgan posted a dresser for $20 without me knowing and got tons of hits right away. I told her to delete it thinking we could get more. I relisted it a few days later at $50 and still had 19 people messaging me about it. I still feel like we could have gone higher. Don’t be afraid to tell people to hurry up. If you tell someone that someone else is messaging you about it at the same time, tell them it is first come, first serve and that they need to come on. Don’t do holds unless you are willing to be stood up! Never delete your post or message other interested parties that it’s gone until the item is actually gone. People bail all the time. They seem interested over 10 messages and then they go silent. Or they will even say “I’m leaving my house now” and never show up or message again. Never burn a bridge with another potential buyer in case the deal doesn’t go through. How do I get to Facebook Marketplace? You want to use the icon that looks like a little house with an awning. In 2019, it’s on the left hand side of your screen. On your phone, it is on the bottom middle. How do I join the Facebook marketplace? To join Facebook Marketplace, all you need is a facebook account! Can businesses post to Facebook Marketplace? 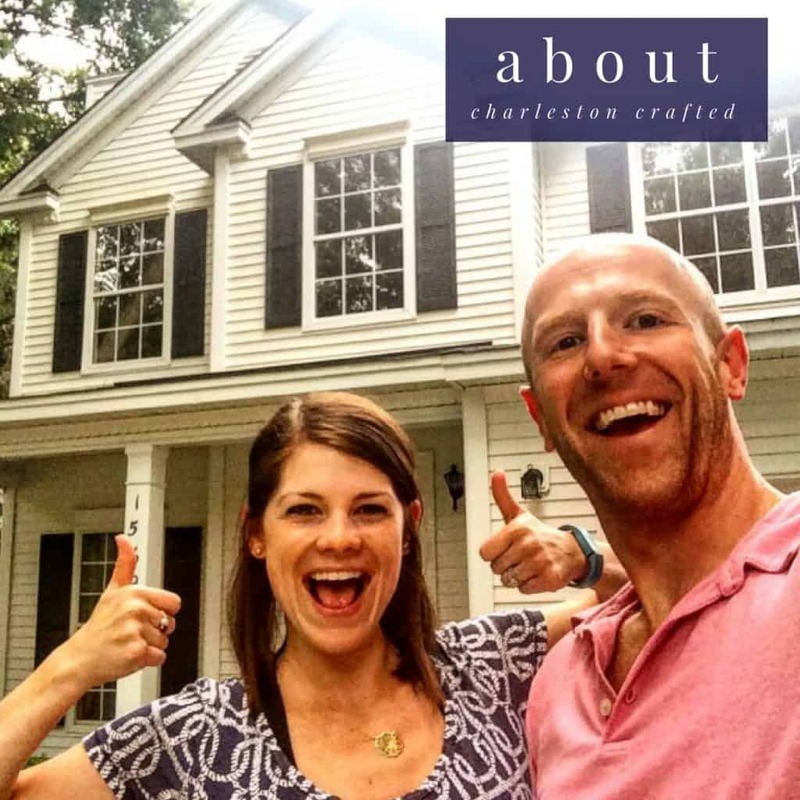 Yes – I frequently see mattress and furniture stores listed on my Facebook market place. Is Marketplace on Facebook free? Yes, Facebook marketplace is free! What does next mean on Facebook marketplace? NEXT is what people post when something is already claimed or pending. It means that you want to be the next person in line if the original person falls through. How do you bump a post on Facebook marketplace? After 7 days, you can renew a listing on marketplace. You have to wait at least 7 days or you will get a greyed out button. After 7 days, you will have the option to renew. There are lots of ways to sell online. Knowing how to successfully sell on Facebook Marketplace is crucial in today’s app-driven world. This spring, make sure you are using these tips for how to successfully sell on Facebook Marketplace! Is it weird having strangers come over to your house? We always meet them outside, on the porch or in the driveway. I don’t let anyone inside! Smaller things Sean sometimes has them meet him in his work parking lot, especially if that location is more convenient for them!